Sponsored by her company’s Solidarity Leave Program in summer of 2017, Marina set out for a two-week trip to support Marici by Marici — a women-led business Indonesia that uses the talents of local women to create beautiful products. Her mission? In an effort to create more local jobs while caring for the planet and artisans, she worked with the local team to create more sustainable products, source environmentally friendly suppliers, and visit sustainable businesses around Indonesia to learn more about how everyday Indonesians are living in harmony with their surroundings. Marina at Petra University with members of the university and fashion industry. July 29 I arrived in the evening in Surabaya. I was welcomed by its hot and humid climate, similar to what I had left in Italy, so it took no time to adapt to the local weather. Felecia and Melia – Marici’s owners – took me to the apartment I would call home for two weeks. The complex made of four tall buildings was surrounded by a large peaceful green area. 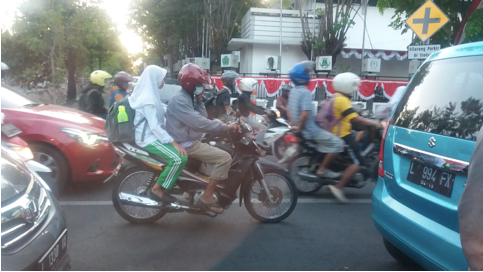 In Surabaya it is difficult to travel without a car or, for the brave, by motorcycle. Fortunately Felecia and Melia were available to drive me around and show me the city. The patio at the Indigo restaurant, where our team had a delicious lunch. July 30 Today I had a wonderful welcome lunch with my hosts, serving as my first (delicious!) introduction to Indonesian food. Jet lag is still pestering me but I was as present as possible during our first team meeting. We ate at the Indigo restaurant at Majapahit Hotel, a location that is marked by its Dutch colonial history. It is impossible not to be fascinated by this area’s history, as Indonesia blends the memory of a colonial past with its own unique and vibrant culture. The city traffic jam: cars surrounded by crowded motorcycles. Afterwards, we had a small city tour on a very crowded Sunday afternoon, with cars and motorbikes everywhere. 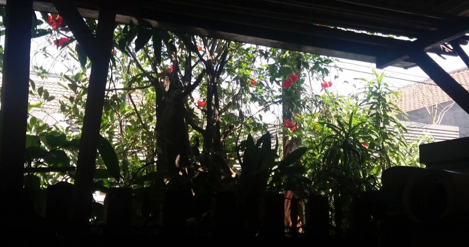 Surabaya gave me the impression of a very clean and safe town where, at least during the day, women can feel comfortable exploring alone. Seen from a car, the city appears to be a very fast-growing place, with skyscrapers everywhere, standing next to schools and universities, as well as small houses and ground floor shops. My hosts told me that 70% of the Indonesian population are less than 35 years old. As someone from Italy this is an incredible percentage and gives the area a joyful energy, especially in the early morning as the streets are flooded with students going to school. It is clear that people here greatly enjoy their studies and their work. 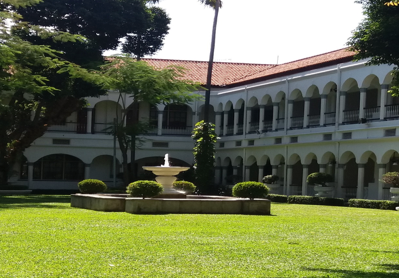 In the afternoon we visited a tobacco museum, the House of Sampoerna. Indonesia is the fifth largest tobacco market in the world, and there is a striking gender difference in smokers: 63% of men smoke but only 5% of women do. Next to this building was an old tobacco mill which today employs hundred of people, mostly women, to carefully and patiently roll cigarettes by hand. 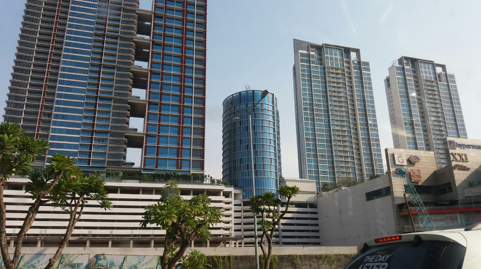 The growing skyscrapers that are taking over Surabaya. July 31 Breakfast at the apartment was haunted by ants: Felecia and Melia left me lots of fruit, bread, ginger and so on. Ants liked the bread very much. What a pity! Anyway, there was still enough left for me and then I left for my first day at Marici. The social enterprise originally started as a trading company importing from China in 2005, and then quickly became autonomous by developing their own crafts and selling them through e-commerce. Until now, a major part of their business has been domestic, but they are also developing an international market thanks to the contacts they have built over the years with the local government’s Chamber of Commerce. Six or seven women are working in the facility to make small jewelry and children’s headbands using batik fabric, ribbons, and coffee beans as beads. The atmosphere is relaxed with the girls working smoothly, and a coffee break is always guaranteed. I am told that another five to eight women are working from their houses to make looking after their children easier. It struck me that some of the younger women work during the day at Marici and then attend university in the evening, while some of the older women use part of their salaries to support the education of their younger sisters. A very virtuous circle indeed. This is even more meaningful considering that many women are forced to stop their education at 12 to find a job and pay for their brothers’ education or, even worse, are forced to marry a man from a rich family. Back at Marici, Melia, the designer, is studying a new design: a silver jewelry line combined with batik fabric and mother of pearl. Still under construction. 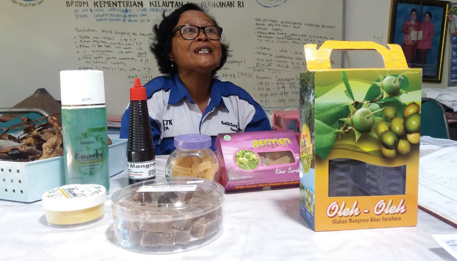 Candies and beauty products that are sustainably produced from nearby mangroves. August 1 Today we visited a farm just outside Surabaya where artisans design and paint batik fabrics with natural colors from the leaves of mangrove trees (and without any chemical additives!). For example, by leaving a special berry to steep for over a year, they are able to create a unique natural purple color that is difficult to obtain but is very colorfast. All the jobs are performed by women. Other than these products, they also make natural food items including candies and medicinal syrups. Pieces of mangrove trees are even used to make shampoos and beauty products. All the remaining waste created from this manufacturing is put into compost, which goes back in a sustainable cycle to support the the lush, green mangroves that they rely on. The thick mangroves, which are nourished by the compost the manufacturers produce. 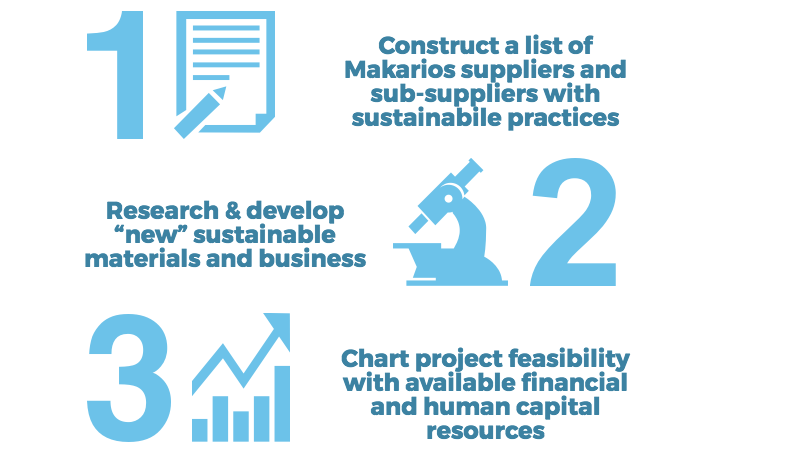 Even with Marici’s impressive sustainability principles, in order to expand into international markets in ways that will enable them to keep growing, it has to start achieving documented sustainability guidelines. In the afternoon I led a short workshop at the engineering department at Petra University for the Marici team on Sustainability guidelines. Back in Italy, I work at Kering-company, Balenciaga, so I shared insights from our business to show how Marici could also ensure a sustainable supply chain.. After a short introduction to the brand features, I explained how to use the Kering Environmental Profit and Loss tool to compute, measure, and compare the environmental impact of doing business, outlined the basic elements of a Sustainable Supply Chain and how to create one, and led a discussion about the environmental consequences of fabric production in Indonesia. 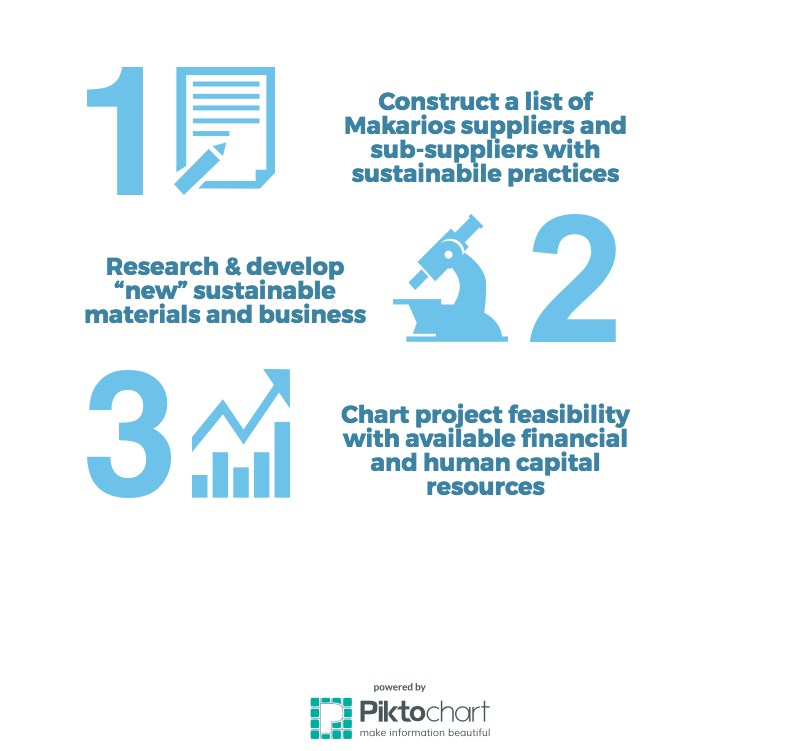 The outcome of this workshop was to start a conversation about the environmental effects of Marici’s production and brainstorm ideas on how to make the supply chain more sustainable. In addition to supporting Marici, part of my work was also to work with local officials and educators to help local influencers explore more sustainable ways of doing business. We held a brainstorm with Felecia and some other lecturers from Petra University who were supply chain specialists and material & chemical professors, exchanging ideas on what to do to raise awareness about the cause and get more people involved. Then we visited Petra University’s library and its facilities, which were almost empty as classes had not started yet for the term. We found places to read and rest, a great and diverse book selection, calming music to help studies, free wi-fi, and PC connections everywhere. August 2-4 Today we returned to Petra University for various visits to Marici facilities to see new designs and have lunch with my hosts and the women working there. We discussed ways of reusing materials, such as using “used” coal to make tiles or sterilized and neutralized coal powder as field compost to nourish the soil. We also visited a government handicraft center where a lot of Surabaya products were up for sale: wooden bowls, batik dresses, coffee and even the Marici new line of jewelry were exhibited as in a promotional center for typical Indonesian products. 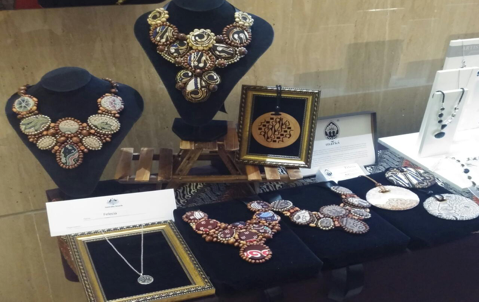 The new Marici line of jewelry that the women work to produce daily. August 5-7– Felecia and Melia are very kind and devoted hosts. Knowing I would be alone for the weekend, they proposed we visit Bali for a full immersion in the area’s culture and nature. Domestic flights and Indonesian hotels are very affordable, so we could enjoy a real jungle view, gorgeous temples, and bright beaches from high cliffs. Uluatu temples, even when over populated by monkeys, are beautiful, and Padanga Beach has pristine white sand. The lovely beaches were a great opportunity for Melia to take pictures for the new Marici products campaign. In the late afternoon, we were privy to a spectacular sudden sunset that we watched from the sand. What else could you want? Although we’re having a great time, we are also developing our future plans to create a sustainable supply chain for Marici. Having fun together allows us to get to know each other better, and learn more about our different cultures. 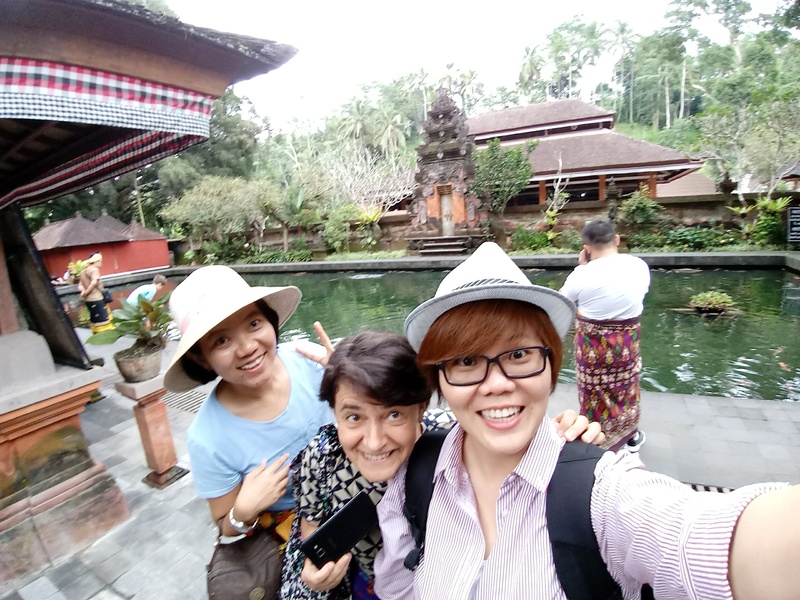 Marina exploring Bali with Felecia and Melia. 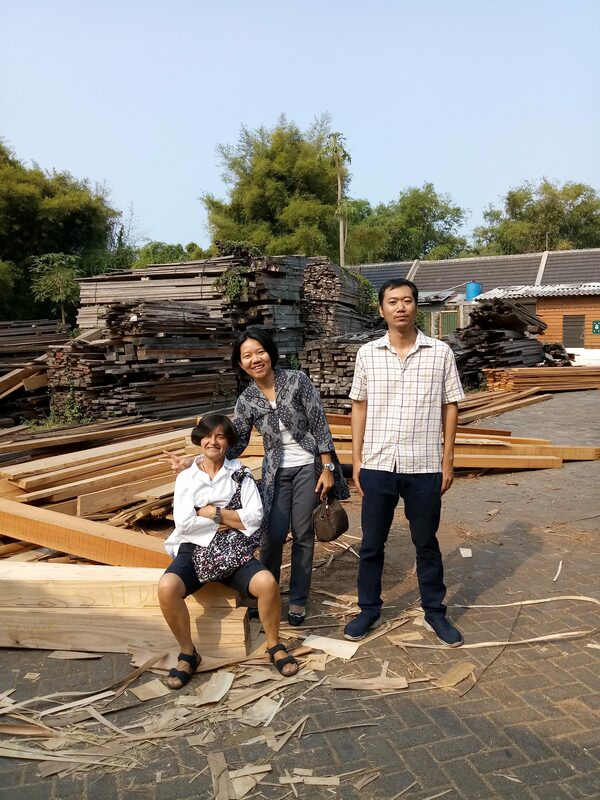 August 8 Back in Surabaya, we visited a sawmill, Sagaya Megah Lestar. Indonesia is famous for exporting luxury wood worldwide. Because of this, endangered forests are often cut down. The sawmill is a third generation business and employs around 70 people, among them many women who perform the delicate procedures, including trimming the wood panels by hand. Felecia and Melia had the idea to reuse wood scraps to make bowls for an international market. If this project is successful, the factory will be able to avoid burning the wood chips in the factory, which pollutes the air workers breathe. While Marici is studying possible design and looking to find local craftsmen and women to get involved, the sawmill is working to get certification to ship wood to Marici. This is a great transformation to witness, working little by little to grow from an old and unsustainable activity to a brand new one that includes most of the principles of the circular economy working together. Marina exploring the sawmill and discussing a sustainable new product. August 9 Today we had a Marici meeting to put together some details for our sustainability plan. We visited one of the wealthier areas of the city which summarized the many gaps and differences found in the area. Luxury villas in the Roman style, bright malls and skyscrapers contrasted with small houses right next door. 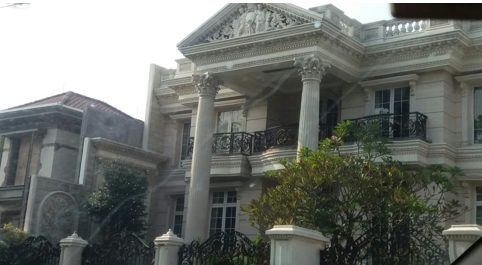 The inequality in Surabaya is stark. These luxurious villas contrast with local huts. 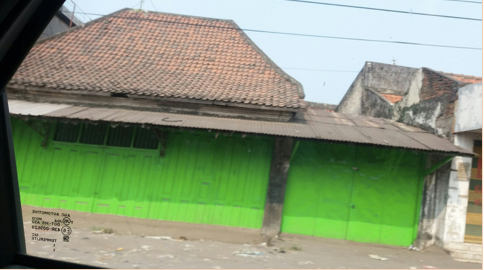 These are typical homes in the Surabaya village. 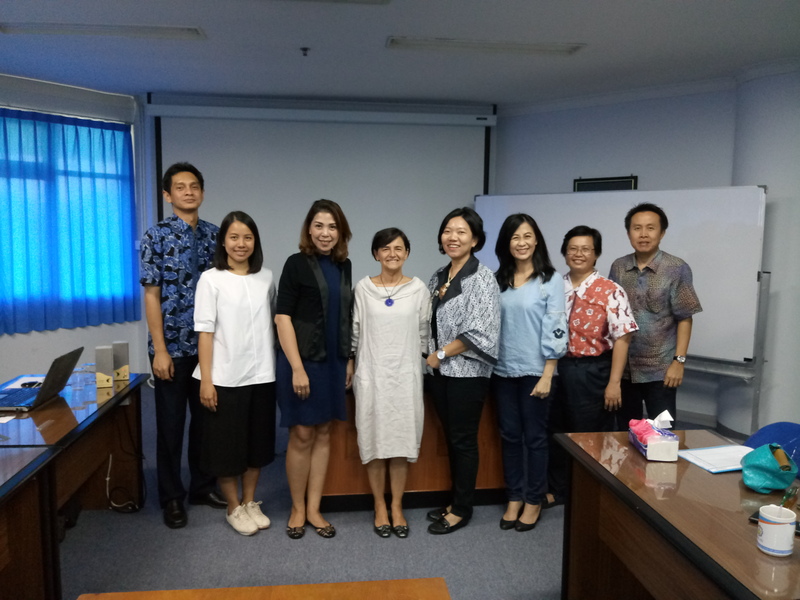 August 10 Expanding beyond my work with Marici, Felecia was able to gather ten people from various backgrounds — ranging from the academic world to the Indonesian fashion industry — for a brainstorming session on improving the sustainability of more companies in the area. 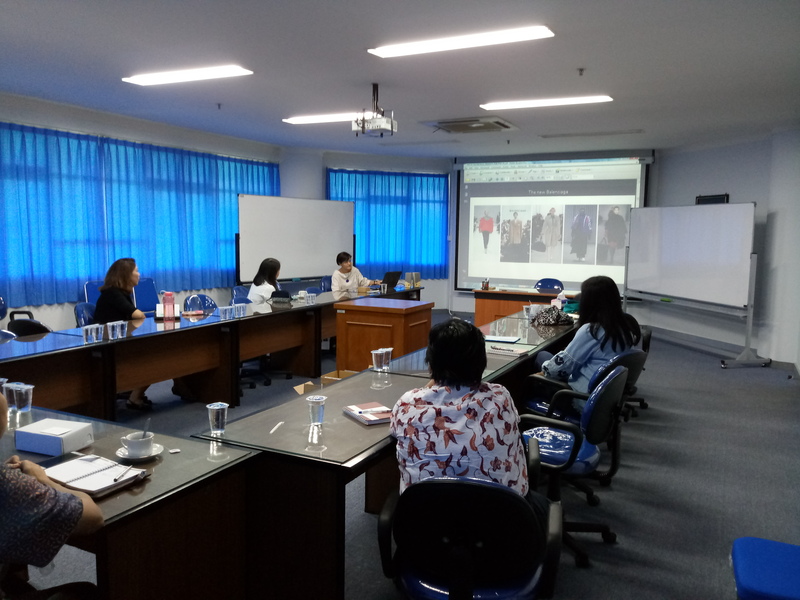 Once again at Petra University, we discussed the environmental and social impact of fashion, various tools for sustainability, and how to locally promote a system like Kering’s while maintaining a budget. A team meeting brainstorming ways to make the supply chain more sustainable. August 11 Today is my last day at Marici. I summarized all our discussions about potential projects and built a draft schedule on what we (even though I was leaving I consider myself as a part of the Indonesian team now) could do to start putting into motion a sustainable supply chain before saying goodbye to the girls. 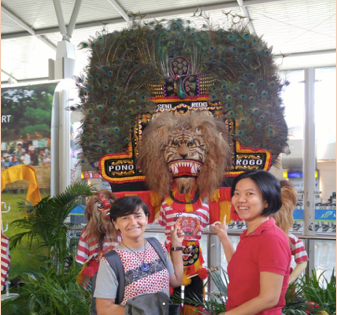 August 12 – My time in Indonesia is finished. I leave Surabaya with plenty of ginger in the form of candies and drinks, and also with new friends. I’m happy to have the reassurance that any experience where you can connect, get in touch, or try to understand another person from around the world is something that makes you richer and richer. 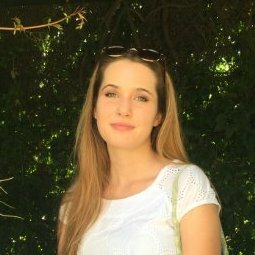 Join Marina in making a difference by Experteering your business development skills, supporting an organization working to create sustainable economic development, and learning more about our high impact partnership with the Kering Foundation.